Erin Bowman’s Vengeance Road is the book I have been dying to share with you. 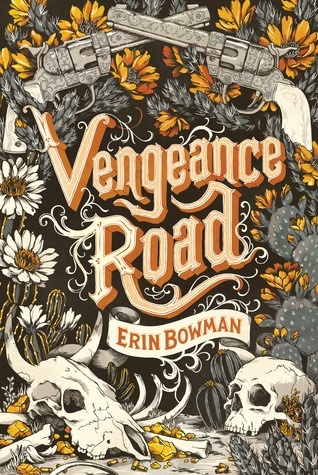 Vengeance Road was one of my most anticipated reads this year (that cover had me salivating) – it isn’t often I find a YA western, and it is hardest to find any western with a female protagonist. This book absolutely lived up to my expectations. This is my idea of a five star book. I don’t think you have to be a fan of westerns to really enjoy this book. 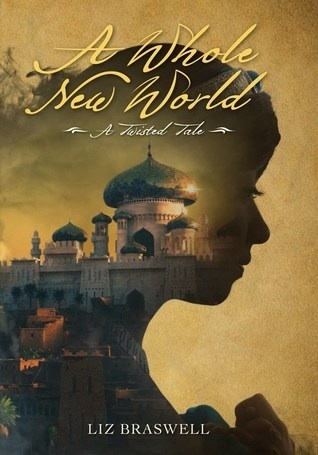 There is a quest with plenty of action and adventure, there is a mystery with several surprising twists, and there is a coming of age story about a girl who loses her whole world and must rebuild herself. There might even be a little romance. Fans of Charles Portis and Louis L’Amour will certainly want to snap this book up, but if you enjoyed Blood Red Road or Stone Rider, you are going to want to give this a look. Vengeance Road is publishing September 1, 2015. Kate is a character who can stand tall and proud next to Mattie from True Grit or Echo Sackett from Ride the River. She is smart and determined but she is also vulnerable and real. The combination made her one of those characters who seems to live and breathe beyond the page. The setting, too, is as artfully crafted as any western reader could want. This isn’t a romanticized picture of a treasure hunt, the West or of outlaws. Kate is on a dangerous journey through a nearly lawless land and an unforgiving landscape. Trusting people can cost you your life. The threats to Kate and her companions are real; Consequences can be deadly. This book is also pretty impressive because of the pace of the story – it manages to keep the action going pretty consistently without seeming contrived. It also manages to build backstory for a lot of characters without slipping into lulls. I think it will hold the attention of even my most impatient and bloodthirsty high school guys, but it will also give my gals the emotional connections they crave with the characters. The only complaint I can see arising from a reader is the use of dialect. Kate has the speech patterns that are comparable to what a reader might encounter in this time and place (or that you might encounter in more rural or isolated communities today). It isn’t intrusive or overdone and it added to my picture of Kate’s character, but I know some people don’t appreciate the authenticity that regional dialect adds. Language and situations are appropriate for grades 7+ with the understanding that there is a lot of western violence. Adult readers of YA will find this a rich and satisfying read as well. I really enjoyed The Statistical Probability of Love at First Sight, and Jennifer E. Smith is popular with my high school readers, so I was pretty excited to preview this title, but I felt a little trepidation about the topic. It’s a break-up book, or is it? Either way, it looked primed for teen drama, which I’m not always up for. Fortunately, this is well written, and it was less painful than I thought it would be. I think it is a pretty good bet for readers who enjoy contemporary YA romance. I gave it four stars. This book is publishing September 1, 2015. The entire story takes place in the twelve hours before Claire and Aidan have to say goodbye and head to their respective colleges. The question is do we stay together, or do we end this amicably tonight. A lot can happen in twelve hours, and as they celebrate the good memories and argue about the future, a few unexpected surprises and mishaps alter their perspective of one another and their relationship again and again. I liked almost every character in this book, and I particularly enjoyed how Aidan and Claire are opposites but still so perfect for one another. The decision that they have to make is one that many readers will be familiar with, and the ugly scenes are just as present and important as the happy ones. While I didn’t get the resolution I kept hoping for, I was satisfied by the ending, and I think most readers will be as well. While my overall feelings about this book are positive, I do remember thinking a few times that both Aidan and Claire needed to call it a night because the conversation was getting old. There is a lot of talking, and though it is probably balanced pretty fairly with action, it is all the talking that I remember the most. I think high school seniors or new college students will find this the most engaging, but it is appropriate for grades 9+. I hesitated to review this book here because it is really for a much younger crowd. This is not YA. It might not even be a middle school read. It has gotten so much interest, though, that I thought it might be worth my time to give you a good idea of what you are getting so you can go into the book with open eyes. For the right age group, this could be magical, but for an older crowd, this will be a little too tame and predictable. This book is publishing on September 1, 2015. I think fans of the Disney animated film of Aladdin will be happy with how faithful A Whole New World is to the characters and spirit of that version. I haven’t seen the animated film since it came out, which might have been almost two decades ago now! However, I immediately pictured each character as their voice took up the dialogue. The genie is the most memorable character for me, and he is still wise cracking in this version of the story. My problem was that I still see them as animated characters while I’m reading this. With all of the sophisticated reimaginings that have been coming out over the last few years, I think I was expecting something more since this was marketed as YA. This is literally the Disney version with a twist. While middle school readers might still find this engaging, I think YA’s and adult readers of YA will find this disappointing. Don’t get me wrong, this is well written and polished smooth, but it just doesn’t have the complexity to engage mature readers. There is romance, adventure, and battle, but it is all focused on a single goal without really developing any subplots or deep character growth. Everyone is either black or white, and it goes without saying that small time “bad guys” like the street rats are all just thieves with hearts of gold when given a chance. Character motivations are limited to greed or noble things like love and compassion. That is all well and good, but YA readers are usually going to call “bull” when they read something that feels contrived. I think this is a book that you can share with an elementary classroom or read with your child who has enjoyed the movie, but I can’t see it getting a lot of interest in a high school library. Language and situations are appropriate for grades 4+. There aren’t many contemporary utopian books on the market, and we all know why. It just isn’t very interesting in a world without conflict. This book does slowly turn into a dystopian, but chances are high that you won’t get that far into the book without a struggle. The mindless bliss and the language are annoying. Very annoying. If you make it through to the dark side, there is an interesting premise, but this ultimately wasn’t a book I connected with. I gave it a three star rating, but some reviewers at Goodreads were a little more generous. 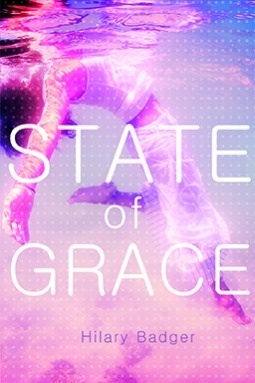 State of Grace will be re-publishing September 1, 2015. State of Grace begins in a world where everything is perfect and it is really annoying. The book opens in a lush and vivid setting where teens are encouraged to simply have fun in homage to Dot, the creator. They are mindless and insipid, and it was almost intolerable. Conflicts begin to arise, slowly but with malevolence, and it was hard to peg exactly what horror was going to unfold as utopia slipped into dystopia. I really wasn’t engaged until the last third of the book, and I think that the last third was worth waiting for, but it takes patience, and if your threshold for silly is low, you probably won’t make it that far. Wren, the main character, does experience growth, and her story is one that, once all the pieces are in place, evokes empathy. The same is true of Blaze, the other main character. This was a fast read, and I finished it in a few hours, but I probably wouldn’t have finished the book if I hadn’t requested a review copy. 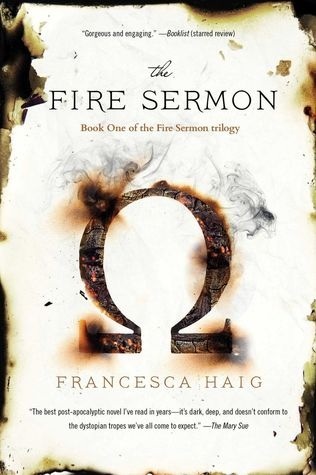 Overall, this was an interesting concept, and I think that it could be very appealing to YA readers who would find the ideas behind the utopian society intriguing because it is one free from the normal taboos. Language and situations are appropriate for mature high school readers. It is not explicit, but there are several variations of sexual coercion that are referenced or take place. I received son ARC from the publisher via NetGalley in exchange for an honest review. 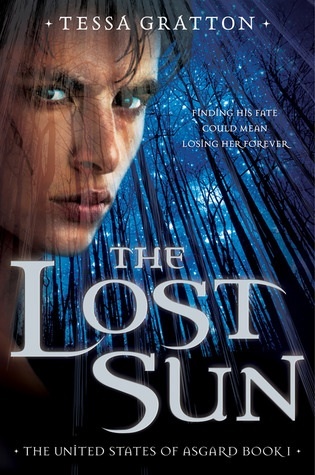 Tessa Gratton’s The Lost Sun is one book that I really couldn’t find a single thing to complain about. Someone should get a trophy for that! I chanced upon this book after reading one of Tessa Gratton’s short stories, and I’m so glad I did. I have never even heard of it, and that is pretty shocking, considering how well written it is. If you enjoyed but outgrew the Percy Jackson books, you need this book on your radar. The setting is so well constructed and truly feels like an alternate but believable contemporary world populated by Norse gods and Viking warriors. It is magical and almost dream-like. The characters, too, are so carefully crafted and impressive in their depth. Don’t get me wrong – you can read this and just enjoy it for the action and adventure, but it has a sophistication that will appeal to those who like a little more complexity in conflicts and characters. 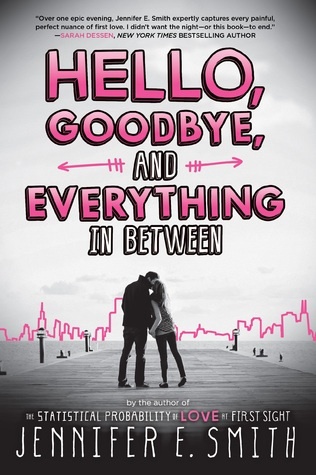 There is something here for readers of both genders, and I think it is one that YA readers of all ages can enjoy. I particularly enjoyed the narrator in this book. Soren had a complex internal conflict that was so clearly developed. I actually liked all of the characters, and that is a true rarity! The world building was engaging, and the way the author introduced aspects of Norse mythology without info dumping was pretty impressive. It was nicely paced to create the feel of a quest, and I appreciated how it had goals that were met along the way so that I wasn’t left waiting foreverlong for an event to happen. I thoroughly enjoyed the book, and I don’t have a single complaint. I read a lot of indie authors, and I have a lot of respect for anyone who can write a whole book. Sometimes, though, they need the polish and grooming that a big publishing house can provide, and that is the case with Frost. It was a serial work written on Wattpad, and it has a cool concept but just not the focused editing and attention to craft that would make it worth your time. 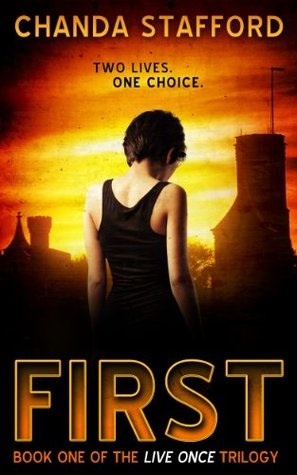 I liked the idea of this book, and I even liked some of the execution – Megan’s genetic memories were a nice touch, and I’ll take a woman warrior any day. The problem for me was really with the lack of craft. 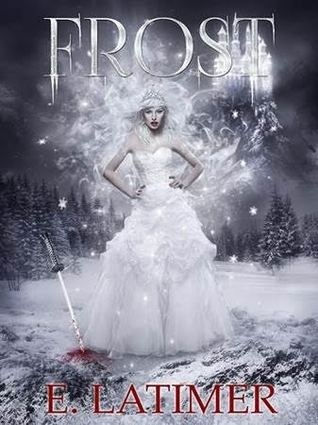 Frost was an okay read, but it is uneven. The beginning of the book feels awkwardly paced and often rushed. The characters actions are accelerated to get to the answers behind the mystery of their similarities, which results in half baked scenes and flat secondary characters. I think it would have been better if more time was spent building up to the answers. The second half of the book feels a lot stronger because the pace slows down and situations are given more time to develop. But even here the scenes are still vague. I couldn’t picture the palace in my mind, and I felt like a lot of time was spent on wardrobe but too little time was spent developing characters and setting. I still felt that almost all of the secondary characters are flat, and they really need some depth to make me care about them. I didn’t really feel any sparks between any of the possible romantic interests, so that was disappointing, and I was surprised that Megan chose to cuddle up to the guy she did at the end because I hadn’t really felt the attraction. Honestly, it still feels like a draft in terms of development and pacing. I would love to see what a strong editor could do with this work because there is a unique and engaging idea here, but it just isn’t ready. Until Friday Night is Abbi Glines’ return to the YA genre – a new series full of football, pick-up trucks and those ever attractive bad boys. Abbi Glines’ Seabreeze series was one of my favorites until it got too graphic and, frankly, rather gross. Because of Low is one of the most sought after books in my classroom library, and my high school readers want more from her, but I just haven’t been able to provide the books they wanted in good conscience. When I saw Glines was putting out a new YA series, I was excited. When I read the premise, I was almost girly in my glee – it sounded like a winner, but I have to say this isn’t as good as I wanted it to be. I gave it three stars because I enjoyed it, but it wasn’t spectacular. Until Friday Night is publishing on Tuesday, August 25, 2015. This isn’t quite as good as I had hoped. I think that readers are most drawn to Glines’ books when she creates a scenario where a girl who feels like she is nothing actually turns out to be so special that a very hot bad boy is absolutely willing to mend his ways just for her. It is a nice fantasy, and probably one that most girls have indulged in at some point in time. This really worked well in some of her Sea Breeze books, and a Until Friday Night attempts to recreate the magic, but it falls short because of one character – West. While most readers will find Maggie likeable enough, West is lacking some of the charm and depth it takes to convince readers that he is more than just a good looking guy. His horrible treatment of girls doesn’t jive with the love he has for his own mother and the admiration he has for his parents’ relationship. His father’s illness happened after he started treating girls like Kleenex, so that isn’t the hole he is trying to fill. He isn’t broken – he is just a jerk, so it is hard to see how Maggie is the something he needs to change his ways. His “reformation” feels insincere, and, honestly, their relationship is more therapy than romance. If West had been eased into our lives, I would have been more receptive, but it was probably a mis-step to lead the series with him. Unfortunately, West is the model that most of the male characters are patterned on in this book, and that means that Glines’ biggest strength, creating an irresistible community of characters that readers want to know more about, isn’t shown to great advantage, either. For the most part, the guys are fairly indistinguishable from each other with the exception of Nash, and he is the one character I care about seeing more of. There are no other girls in the book who aren’t there to stir up trouble, and I think that is a shame as well. That being said, it is well paced to keep readers engaged, and though I wasn’t always happy with what was happening, it is compelling. The premise behind this one is pretty interesting, and I was certainly curious to see how it would work out. I had an immediate like for Maggie’s narrative voice, and I wanted her to find something good to hold on to in her life. I might not have been convinced West was that thing, but I’m willing to bet that plenty of readers will be. I am glad to say I will be able to put this book in my classroom library because the sensuality is scaled back enough that it is on par with other YA contemporary romances. While I didn’t care for the scenes myself, there is a clear effort to connect intimacy with an emotional attachment. There is a lot of cursing, but, again, we’ve seen it before in contemporary YA, so nothing too distressing. 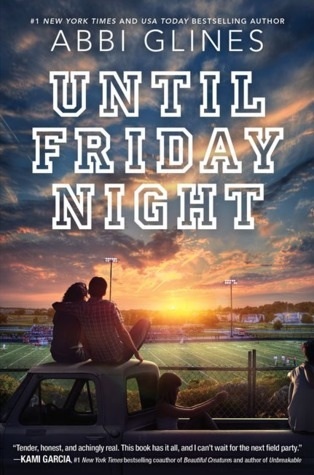 I think this book will appeal to my high school readers because this is the world they know – football, field parties, and pickup trucks, and the setting felt right. The drama is a little exaggerated, but you don’t read these books for the realism, so much as the emotion. In the end, I would read the next book in the series, if only in the hopes that I will find another gem like Because of Low. Mechanica took a lot of hits from reviewers that I usually agree with, so I was a little afraid to give it a go. I was surprised to find that I really did like this book, and I was puzzled by so many negative responses to it. Some said they loved the message but found it boring. Others just wanted to complain that it sounded too much like Cinder (it’s nothing like Cinder). 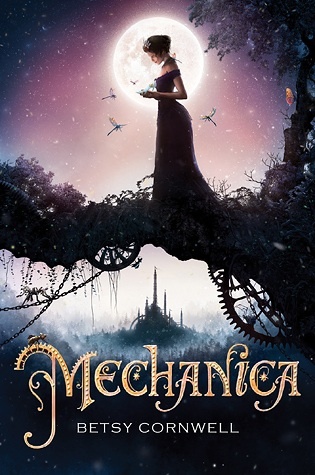 I don’t know if we are about to see a fairytale retelling backlash soon, but even if you have read the ten other books that revisited Cinderella this year, I think you can still find a lot to delight you in Mechanica. There is a tiny metal horse that comes alive here, people! His name is Jules! You just think you’ve read it all! this book has changed publication dates (again), so it won’t actually hit shelves until Tuesday, the 25th of August. Mechanica is an enchanting fairy tale retelling that combines steampunk and fae magic and has the seed of the Cinderella story at its core. While it starts out pretty predictably, patient readers will find it eventually veers in a different direction that is both empowering and reflective. You’ve read this story before, and maybe even read it set in different times and places, but Mechanica deals with it in a way I haven’t seen before. This book isn’t focused on going through the plot points and hitting all of the predictable moments you have probably been internalizing since childhood. This book is more about the character, and about her ideas of love which have been shaped and molded by her circumstances. It is about the protagonist (and the reader) recognizing how love doesn’t have to follow all the conventions and ideas that society tells us are indicators of love. In order to get that point across, this book had to veer away from the expected and idealized trappings of love that almost inherent in a Cinderella retelling. This results in a lot of bafflement for readers who can’t see why the pattern deviates. Smart, thoughtful readers, though, will recognize the value in the changes. My biggest complaint is that it does walk a fine line between YA and middle school readability. The complexity of Nicolette’s internal struggle is engaging enough for an older reader, but at times, the external struggle feels too young. I was annoyed when the narrative over explained things I had already inferred, and this happened a lot when the step-sisters were in a scene. The start of the book isn’t as sophisticated as other fairy tale retellings that are floating around (probably because it is sticking so closely to the traditional source at that point). When the narrative begins to move away from the expected plot, the story becomes more complex. Essentially, I think this can be a book that will appeal to a wide range of readers, and if you are at the more mature end of the reading spectrum, you need to stick it out because it definitely will surprise you. I will add this to my high school classroom library because it does offer such an important message and I think the changes will be just controversial enough to prompt discussion and debate. Under this rather innocuous sounding summary is a rather horrifying premise. I won’t ruin all the fun, but let’s just say that advances in science don’t sound so appealing once you really think about the ramifications. This book reminded me of Under My Skin by Shawntelle Madison. They had similar concepts, so if you enjoyed one, chances are good you will enjoy the other. I thought this book was the weaker of the two, but they both put a spin on the idea of immortality and privilege that I found engaging. I liked the concept of this story, and I thought the world that the author created is pretty intriguing. Mira is a well developed character with a lot of internal conflict and external pressure shaping her choices. The moral dilemma she faces comes across as troubling and real, and I honestly waffled on which way I would go if I had her decision in front of me. Socrates is a less engaging character initially. He has a view about his decision to take a second, and it is only over time that he begins to grow and change as a character that readers will care about. I think this story creates a lot of room for discussion and debate, so it would be perfect for a small reading group. I did think the story had a few flaws. First, I quickly guessed what the big mystery was, and I think most readers will as well. I think the book is designed to allow readers to make the leap of logic that Mira can’t on purpose. I see exactly why the author chose to delay the reveal, but as a reader, I just felt that the mystery dragged on for too long. I also had problems with the lack of action. This is a thinking book, so that is to be expected, but I wanted more than the farm and a room at the Smith. Neither of these were deal breakers for me – I still enjoyed the read.